Updated Wednesday, April 19, 2017, 10:26 a.m. EDT: Jose Baez, the attorney who represented Hernandez in his double-homicide trial, has launched an investigation on behalf of Hernandez. Baez says he believes it’s possible his former client was murdered by either inmates or prison officials, according to TMZ Sports. 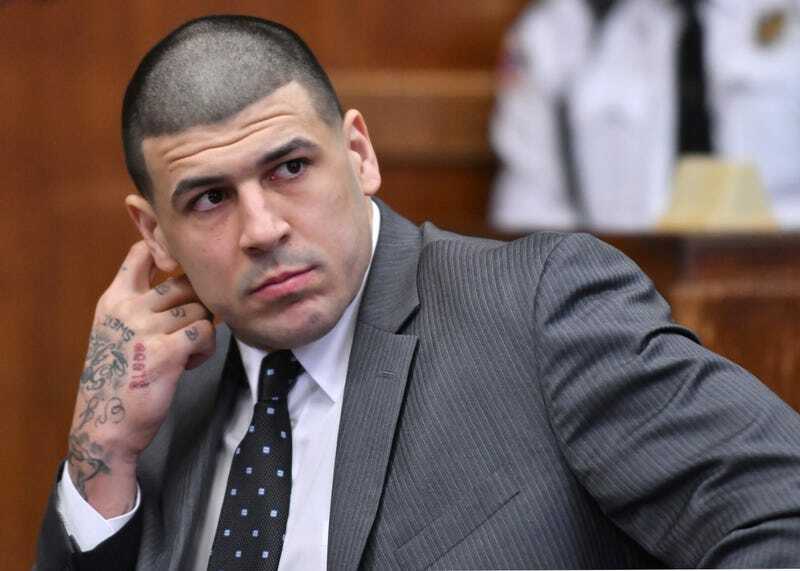 On the heels of being found not guilty of a double homicide earlier this month, former New England Patriots tight end Aaron Hernandez was found dead in his prison cell, according to a statement from the Massachusetts Department of Correction. According to officials at the Souza Baranowski Correctional Center in Shirley, Mass., Hernandez was found hanging from a bedsheet attached to his cell window at approximately 3:05 a.m. He was pronounced dead at 4:07 a.m. by a physician at the hospital. Hernandez had been serving a life sentence for another murder, that of Odin Lloyd in 2013.